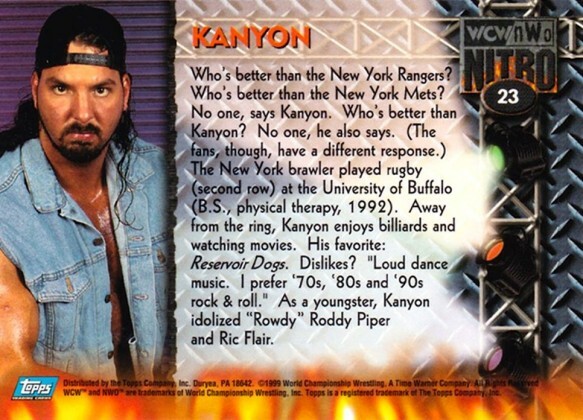 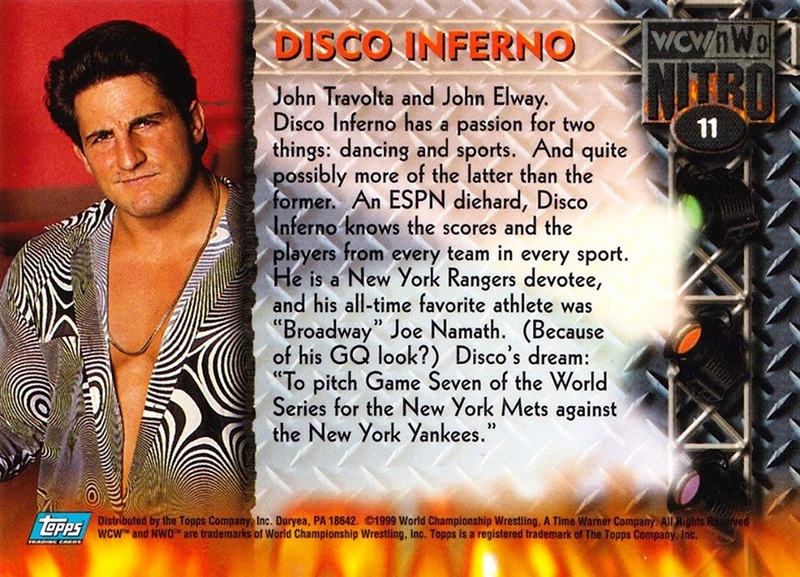 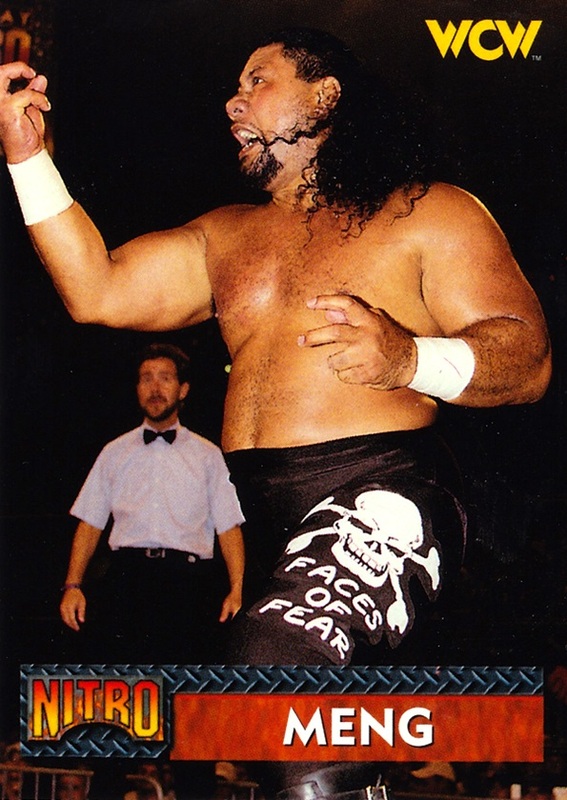 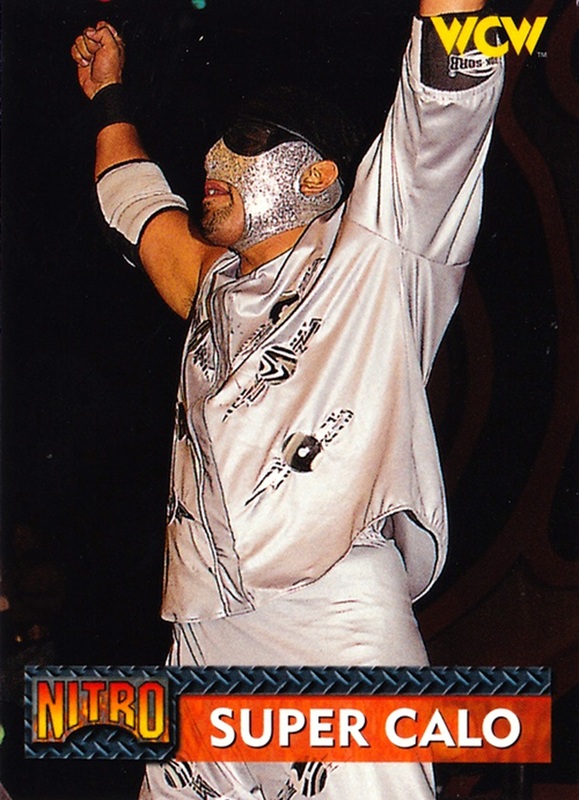 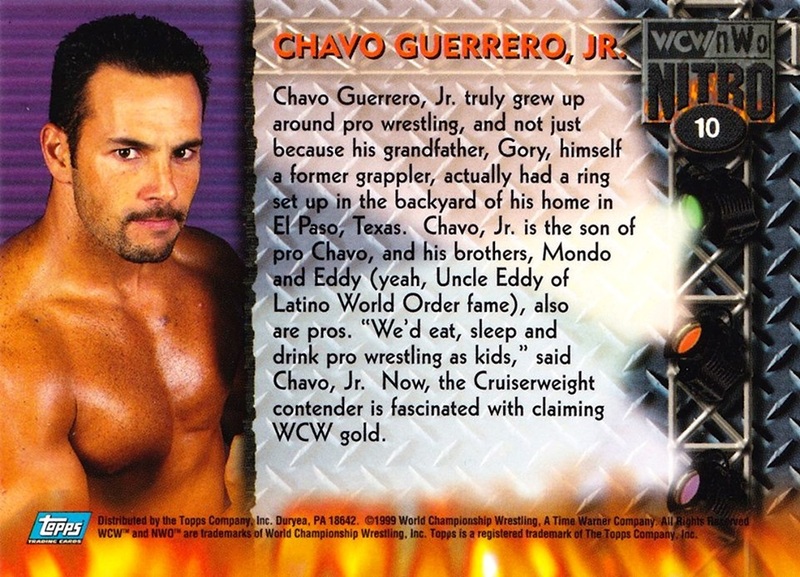 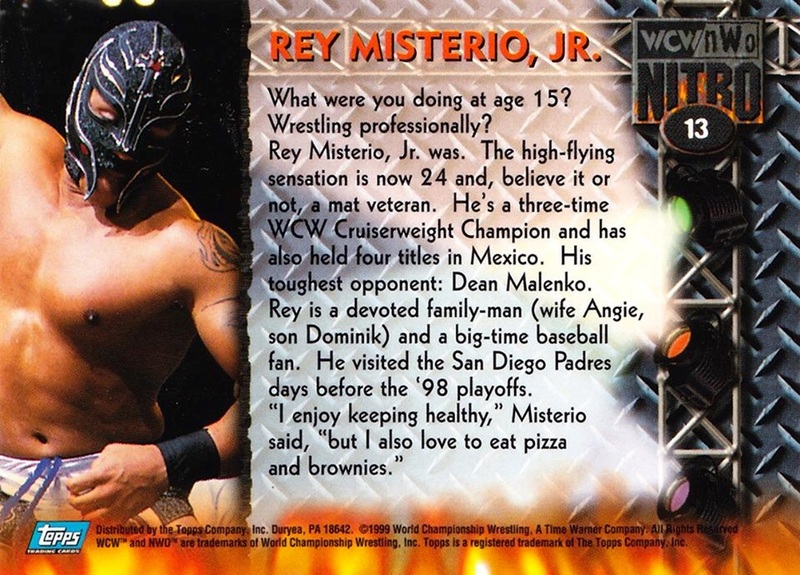 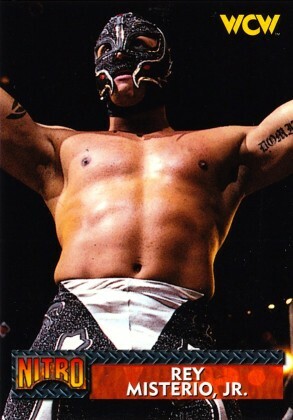 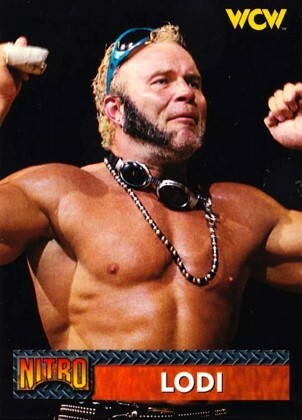 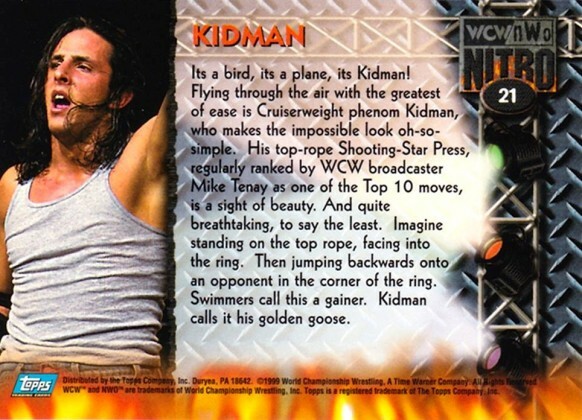 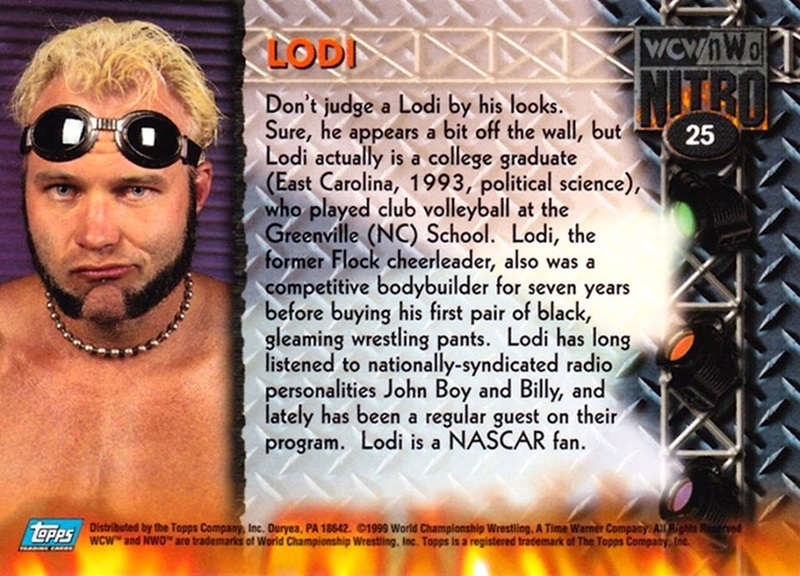 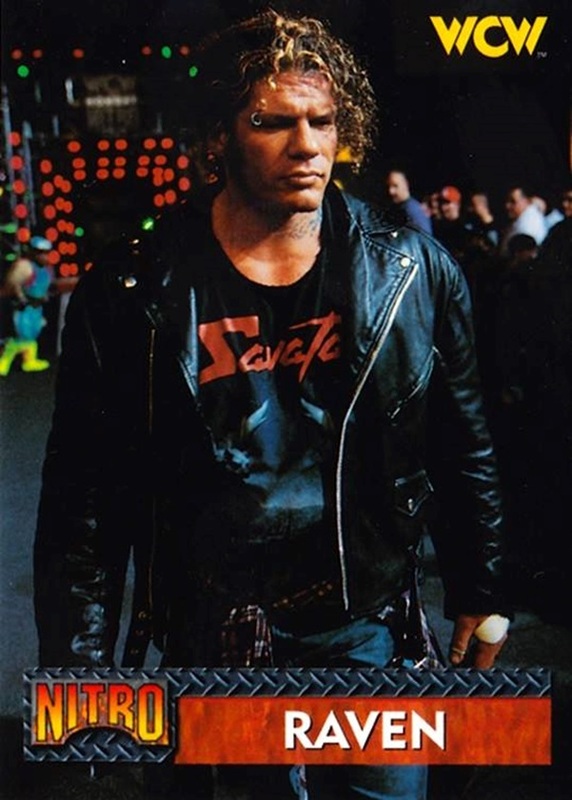 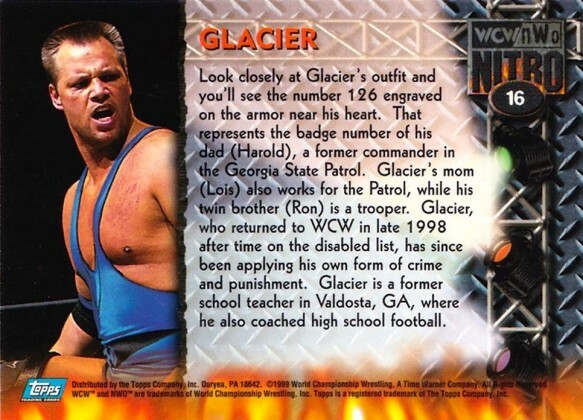 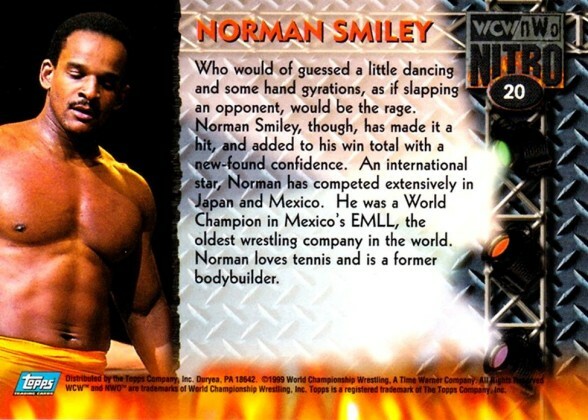 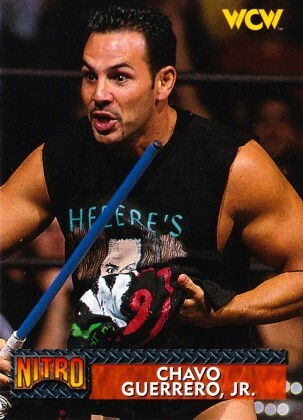 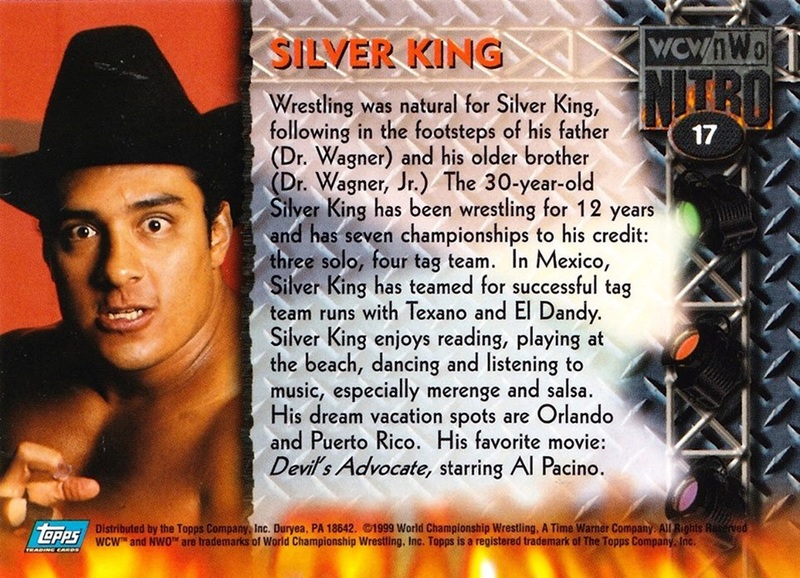 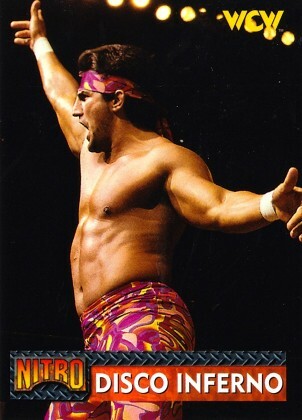 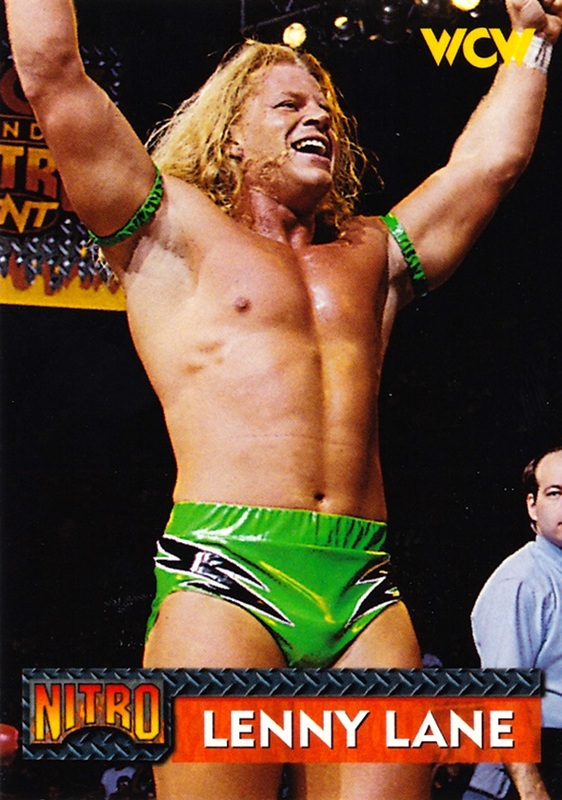 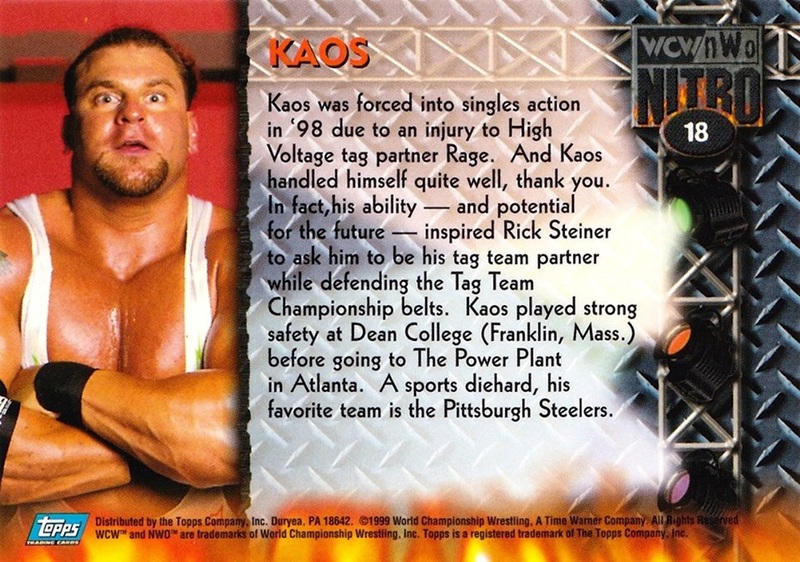 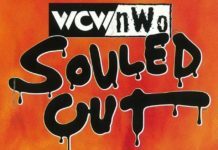 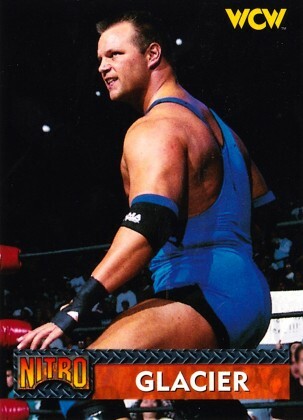 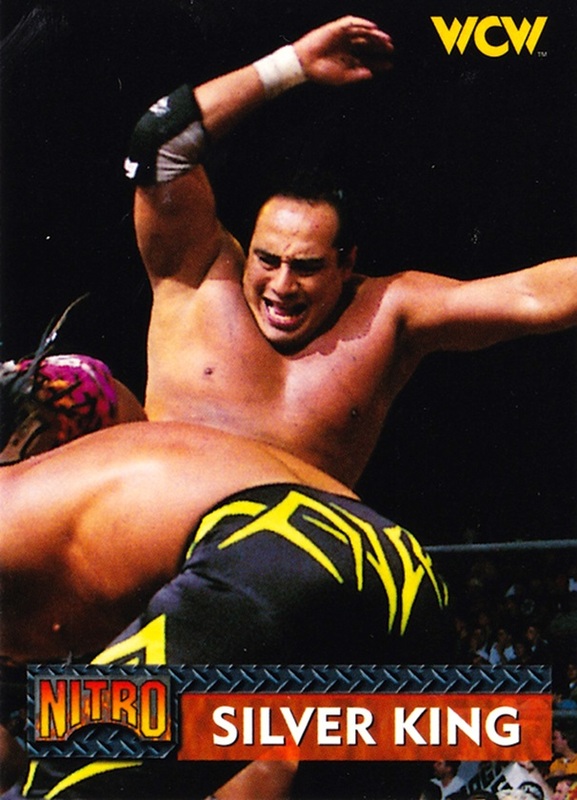 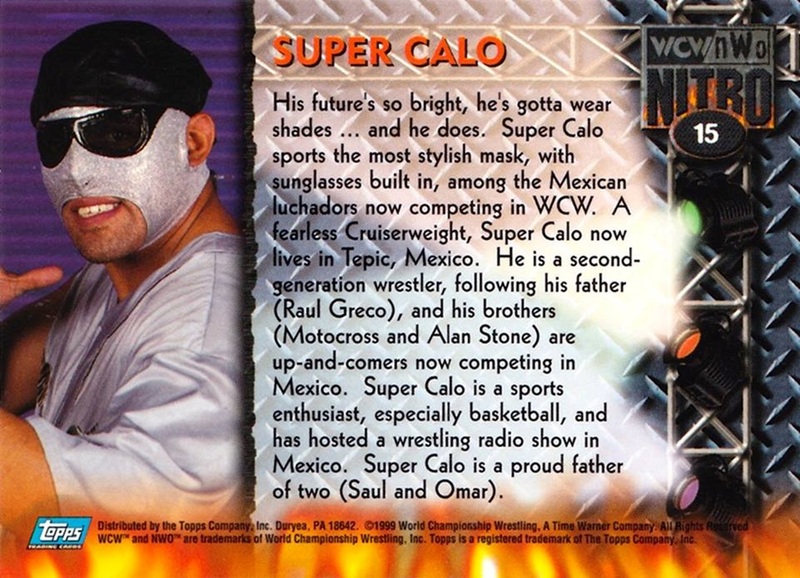 One of my favorite set of WCW trading cards, mainly due to the individual write-ups on each card. 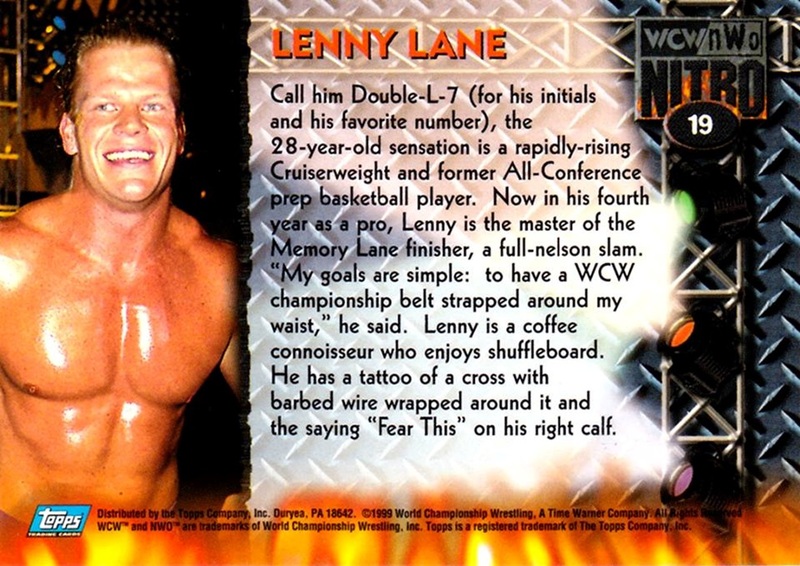 When it comes to someone like Kenny Kaos from High Voltage or Lenny Lane, their TV time is usually so brief on the main shows that there’s no real time to get into Lane’s love for coffee. 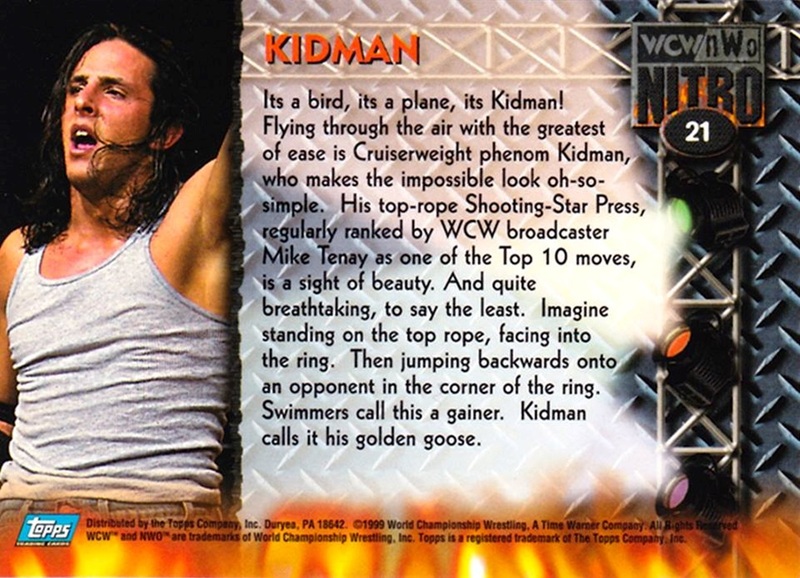 Maybe Alex Wright’s regular usage of The Internet that kind of stuff is covered over on WCW Saturday Night, but it’s sadly never discussed in full by Tony Schiavone on Monday nights. 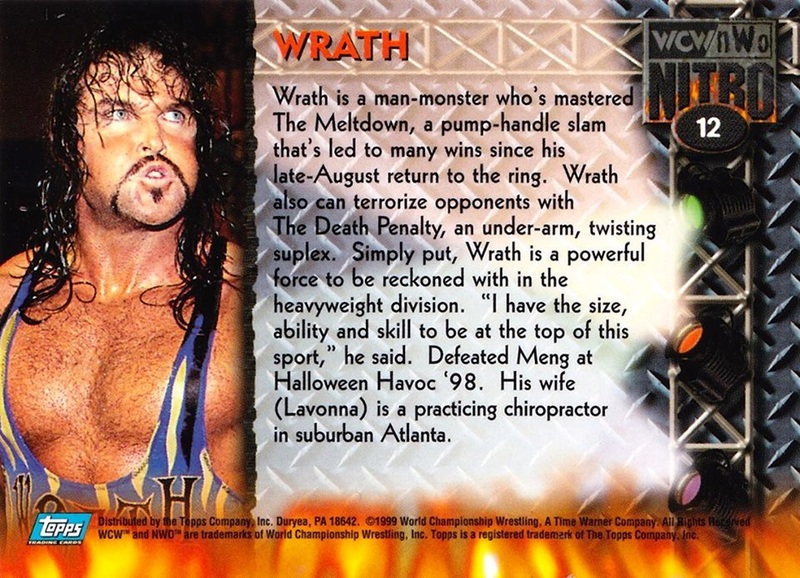 Raven’s write-up is pretty sweet as well, as it goes along with recent stories told about him on Chris Jericho’s podcast. 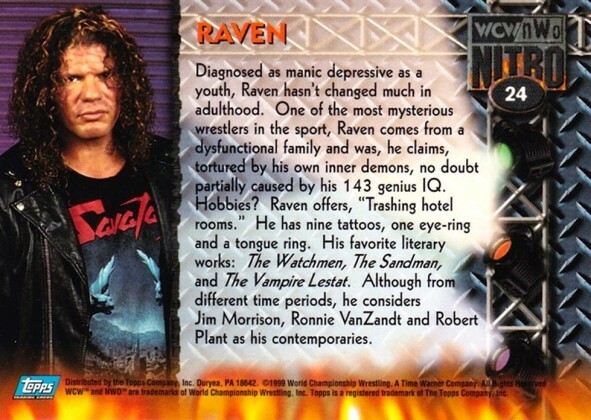 Raven would always boast about having a high IQ and being a regular reader as a way to break away from the perceived wrestler stereotype… but the books he’d always be regularly reading were all comics. 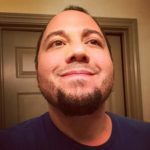 Some great useless information to store in your memory bank.